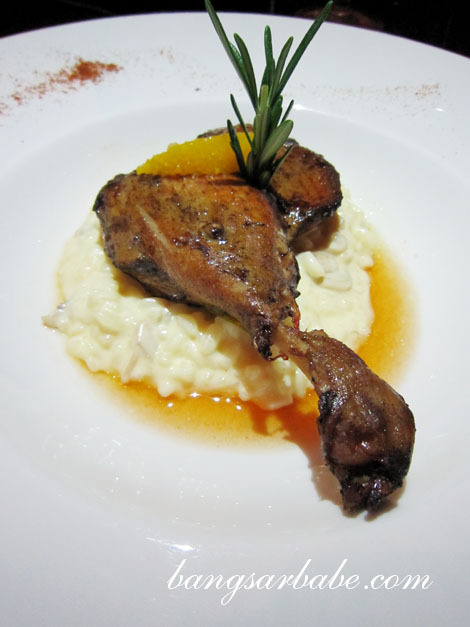 I’ve been to Teeq in Lot 10 three times and found the food mediocre at best. However, the chic ambiance – all glass façade, dim lights and plush sofas – makes it an ideal place for events, parties and wine dinners. 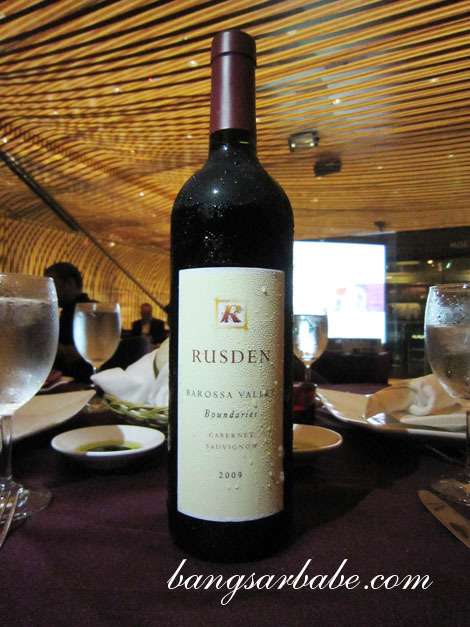 I recently attended a Rusden Wine Tasting dinner here (courtesy of Vineyards Direct), where I sampled and learnt about wines from Barossa Valley. Barossa Valley’s ancient soils and vines, and a temperate climate is said to produce one of the best wines on earth. Rusden Vineyard is a single vineyard estate situated on the Eastern side of the Barossa Valley and incorporates the “Traditional Winemakers” philosophy in the wines. The Canute family has been harvesting their own vineyards for the past 8 generation to ensure this traditional practice is kept alive – Rusden vineyard and winery is 100% family owned. The brand comprises ten wines made using the same traditional methods (basket pressing) and produced in small batches, ensuring the highest quality wines, indicative of the Vine Vale terroir. The basket pressing method is a very soft process that allows the wines to age well. From classic blends to the iconic Sandscrub single vineyard Shiraz, Rusden is committed to developing a strong bond with its customers and maintaining the traditions that make its wines unique. 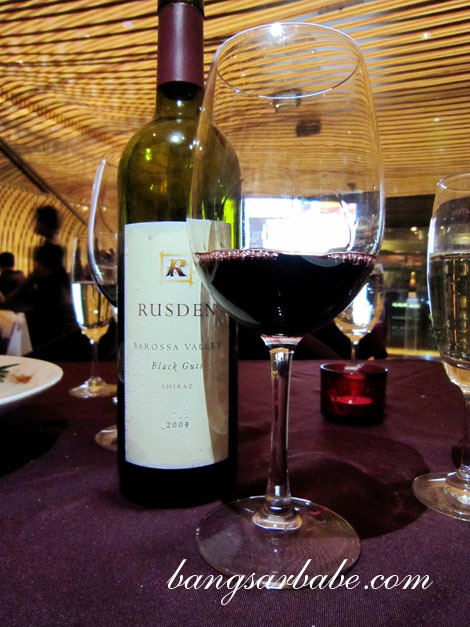 As claimed, the Rusden Cabernet Sauvignon was quite spicy with a light body. I found it easy to drink and easy to understand. Since the flavours were already there, this wine didn’t need developing or decanting. 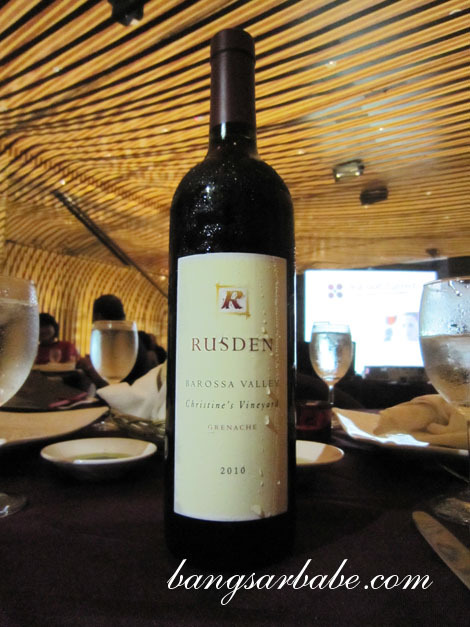 Dennis Canute said Rusden makes one of the best Cabernet Sauvignon around; a bold claim, but possibly true. This wine had a sweet finish and paired well with the chicken. 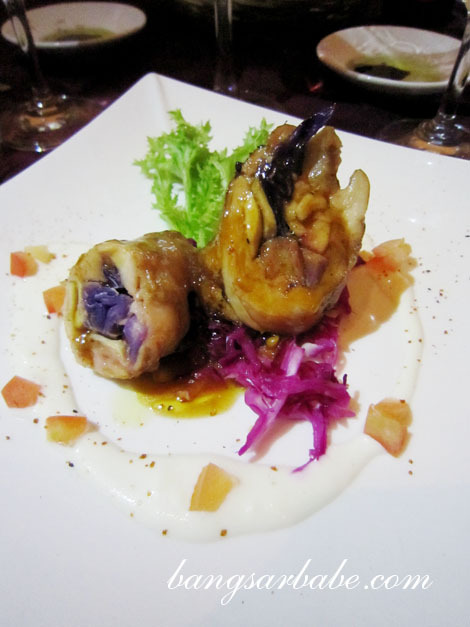 That said, the spring chicken roulade was nothing to shout about. The second wine I sampled was Rusden Christine’s Vineyard Grenache, aged for 2.5 years. Grenache (pronounced gren-aash) is one of the most widely planted red wine grape in the world. 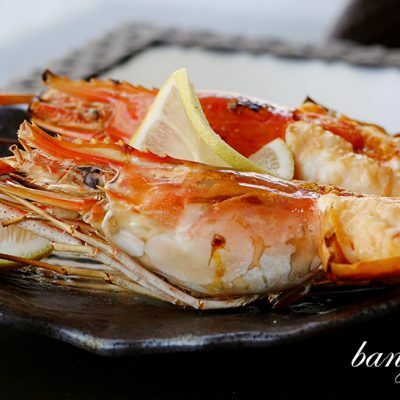 It is generally spicy, berry-flavoured and soft on the palate with high alcohol content. This was my favourite of the three wines. I could taste a bit of oak and the wine was sweet, smooth and very intense. It had a medium body, was mildly spicy and had good legs. 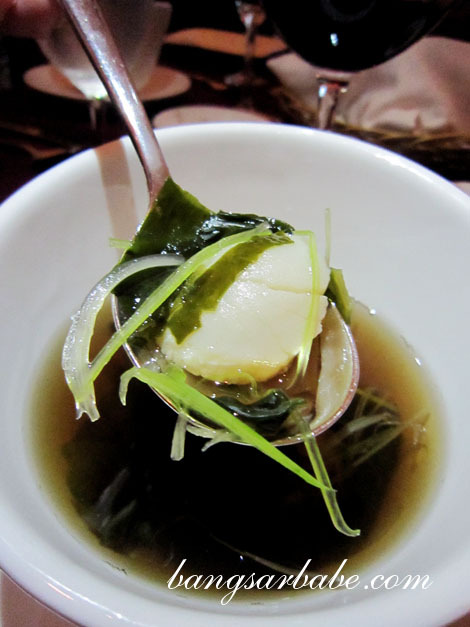 Finish for this wine was bold and lingering – aptly paired with the soup. Unfortunately, the soup (smoky-sweet in flavour) was not worth raving about. Awarded high ratings (96-96 points) from Robert Parker Jnr., Rusden’s 2009 Black Guts Shiraz boasted a spicy note and was very lifted. Aged in French oak and quite exclusive (only 7000 bottles are made each year), this Shiraz is said to be good for the next 30-40 years. This had to most body among the three wines and was moderately spicy and well balanced. That said, the taste of the Shiraz didn’t linger as much as the Grenache. 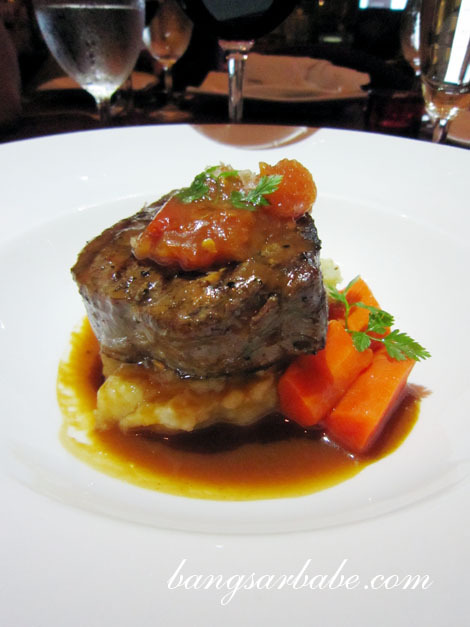 The Australian tenderloin paired with this was adequately prepared but I liked the poached duck leg (second option) better – crisp on the outside and moist within. 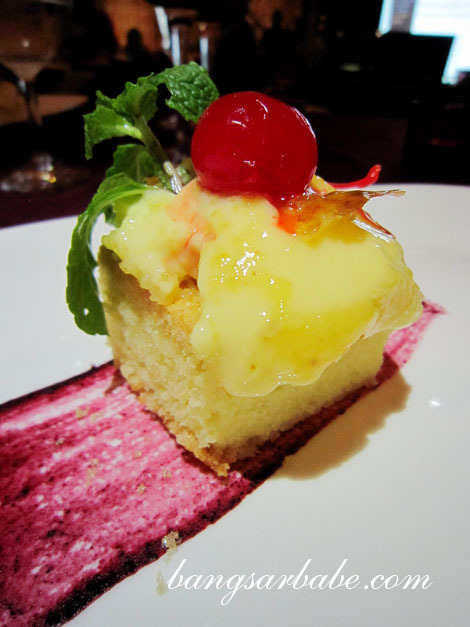 Dessert was a simple butter cake which I found hardly exciting. 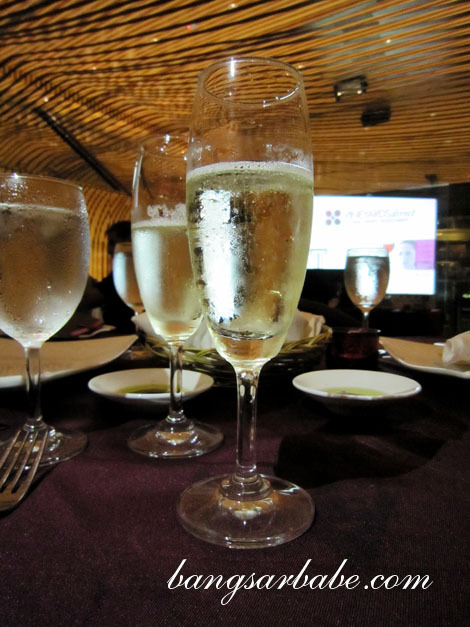 While the food at Teeq failed to tickle my fancy, I enjoyed drinking and learning about the wines. Thank you David, for the kind invite. For more information of Rusden Wines, check out their website or contact Vineyards Direct for more info. 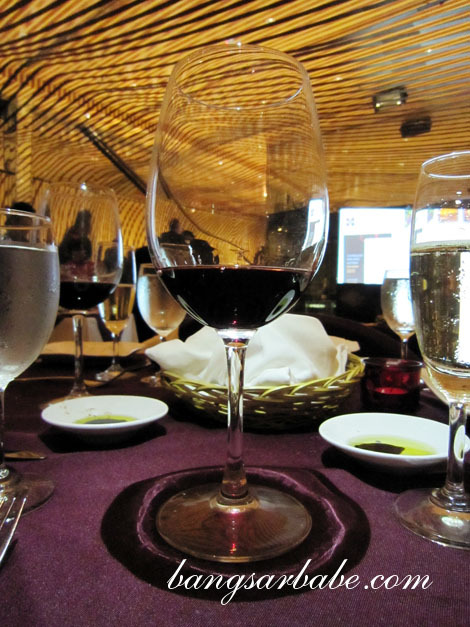 Check out my post onJames Irvine wines here. Yup. Food wasn’t that impressive. Only the duck was decent. Never tried wines from Japan before. Thanks for the heads up! RM48 for 2 pints is pretty reasonable. Now you’re tempting me! Last time I never enjoy wine.. 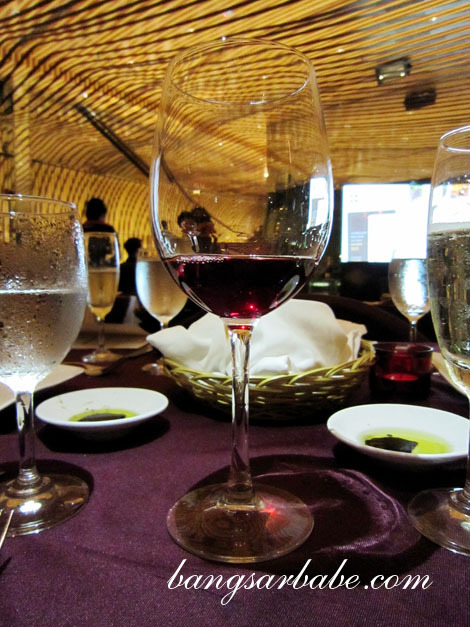 I never know what is good wines.. until i travel to Italy..
a good wine that cost Euro 20 is really good…. from there I love it.. but I am still a wine dummy..
You were there too? Hehehe Didn’t see you though. I was sitted on the left as soon as you enter. I was kinda upset with my tenderloin…I asked for medium rare and was served almost blue.